What are you doing for Valentine’s Day this year?? Scott and I don’t make a big deal about Valentine’s Day (I do more for the kids! ), but of course, I still like to be festive and dress for the occasion a bit! Sharing a few of my favorite festive Valentine looks today no matter what your plans are! Call me boring (or old or lazy) but I love pajamas and the older I get, the more I want nicer jammies. I mean, I get them on everyday just as soon as I can! 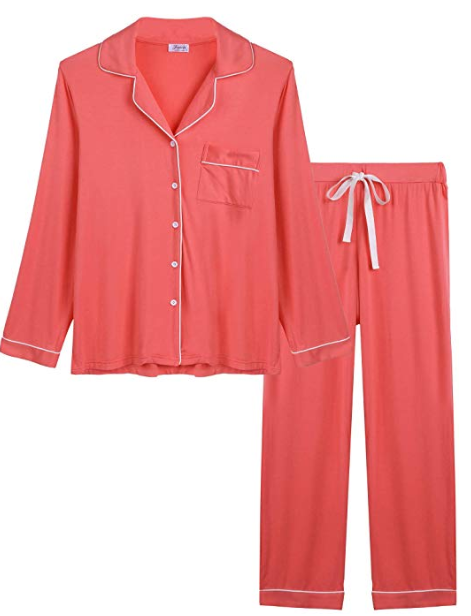 And let’s just be honest here, it’s very likely that pajamas will be my Valentine’s night attire, so I might as up my game a bit, haha! I love this two piece set and they look so nice and soft. 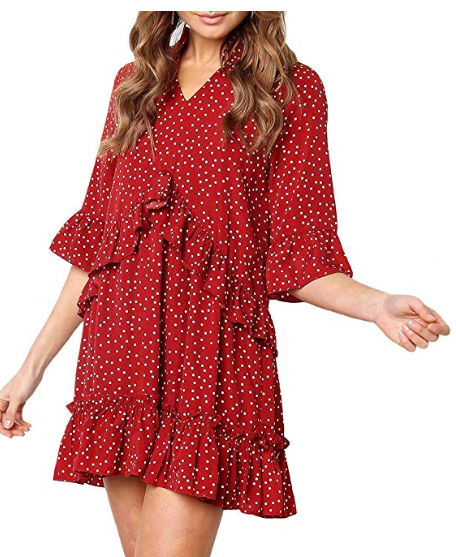 Y’all know from back before Christmas that this polka-dotted ruffle swing dress is one of my favorites! It comes in navy and green too, but the red is perfect for Valentine’s Day. What could be better than a cute peplum top? A DOUBLE peplum! 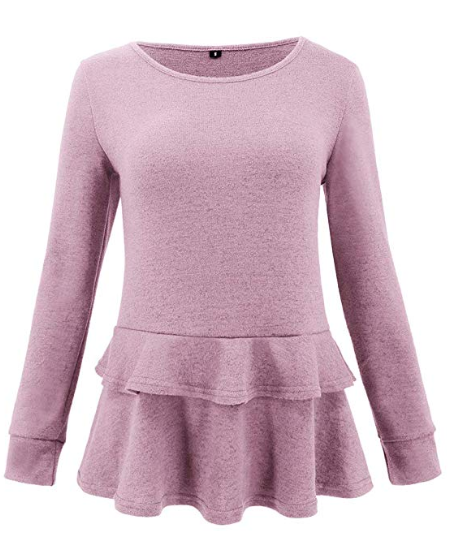 I LOVE a peplum top and this heathered pink version is so cute. Perfect with jeans or white (or black!) jeans with booties or ballet flats. A perfect understated Valentine’s look. I love the idea of wearing a neutral sweater and jeans and getting festive with jewelry and accessories! 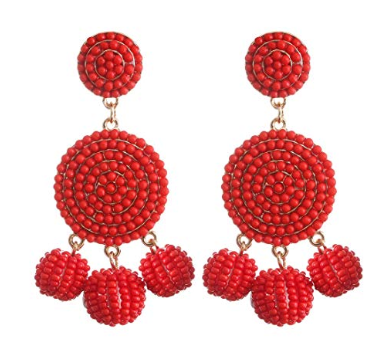 These beaded dangle earrings are so cute and would work with so many different looks. Yes, some (most?) heart-shaped jewelry is a little cheesy. 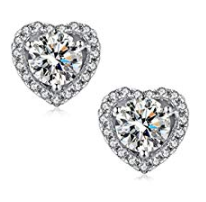 But some pretty, sparkly rhinestone heart earrings? They’re small and subtle, and classic enough to wear every day. 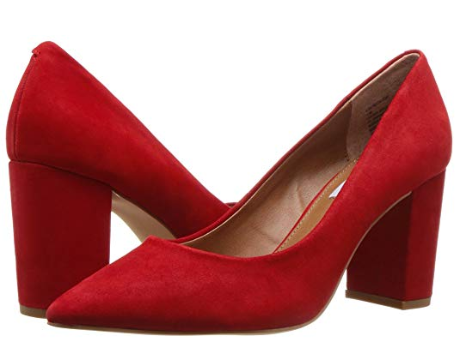 These red block heels are like the opposite mullet of footwear- party in the FRONT and business in the back! The sexiness of a pointy toe with the sensibility of a block heel. These would be as pretty with a cocktail dress as they would a work shift! How could you NOT?! 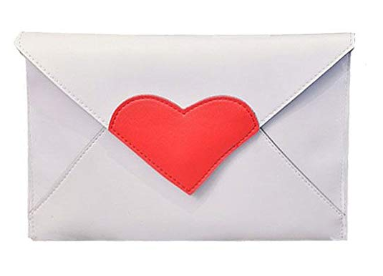 This little heart clutch is SO CUTE and it’s under five dollars. Just order it. 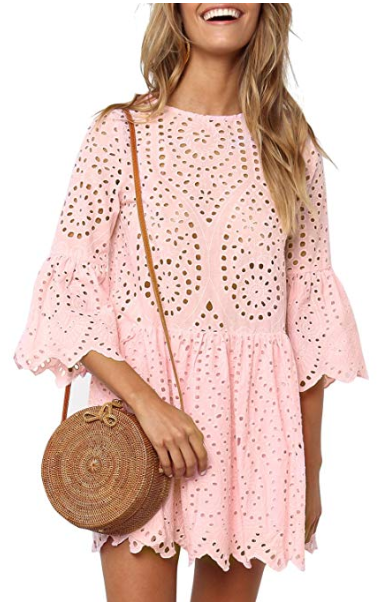 I am a SUCKER for eyelet and I love this pink eyelet dress! Throw on a black leather jacket and boots for an edgier look now, and wear it with sandals and a straw bag come warmer weather. The PERFECT red lipstick. It’s a staple in my everyday beauty arsenal, and holiday-appropriate on Valentine’s Day. 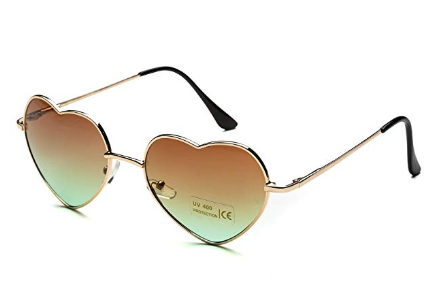 364 days out of the year I leave the heart shaped sunglasses to ladies under 21 years old, but they’re cute for Valentine’s Day, right?? I’m sure one of the girls will steak them from me anyway, ha!